When I was in intermediate school in the states, I took lots of nonsense state and national tests, but I didn’t need the government to tell me how dumb I was – my older brother was quite enough, thank you. I was rubbish at these tests, and especially the “verbal” (English language) sections. I could never complete the “reading comprehension” sections in time, and was baffled by the this-is-to-that-as-the-other-is-to-what? I-was-like-wtf-mate! Now that I’m no longer in school and have learned to think for myself, I understand the thought process of these types of questions. For example, the All Blacks are to winning as _______ is to losing. While there are lots of options here, I think most of us would agree that Wallabies is the most appropriate. Try this one for yourself: Insulation is to an eco-home as ________ is to a garden. While there may be a few possibilities, the best response is compost. Neither makes good cocktail party conversation. Each remains slightly mysterious to many people. Both are the unsung heroes of their respective domains. Each must be done properly to function well. 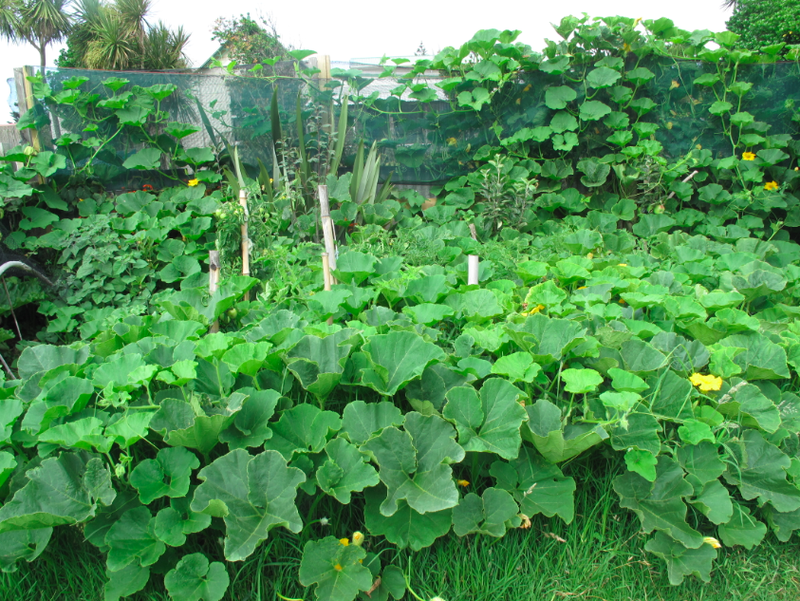 An energy-efficient dwelling is only as good as its insulation, and an organic garden is only as good as its compost. There are many other factors that go into a home or garden, but these are the biggies. Oh, and one more thing they have in common: Winter is a good time for both. Obviously the colder months are when we rely on insulation in our homes to keep us warm, but winter is also an excellent time to make compost in preparation for spring planting. Nothing beats having an excess of high quality compost at the ready. 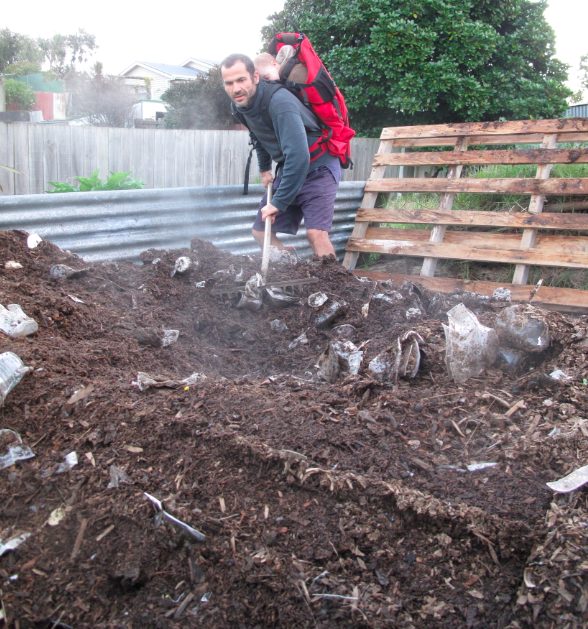 Making your own compost is the cheapest and best way to obtain a quality product. It’s not rocket science or brain surgery, but some knowledge and skills are required. I usually make 1 cubic metre at a time, although at the moment I have six cubic metres going. Hot composting relies on a certain ratio of volume to surface area to stay warm – up to 50 or 60 degrees – which is reached at about 1 cubic metre. As the pile ‘cooks’ the volume shrinks as carbon dioxide and water vapor are ‘exhaled’ by the micro-organisms munching happily away. Hot composting requires a balance of carbon-rich material such as shavings or brown grasses and nitrogen-rich materials such as manure, food scraps or green grass clippings. The materials should be layered so as to maximize the contact between carbon and nitrogen. Build a pile but don’t constrain it. I am an advocate for free-range compost: no bins, no boxes. This makes turning the pile easier, as oxygen is the limiting factor. Turning a well-balanced pile once every 48 to 72 hours for one month will result in the best compost you’ve ever made. 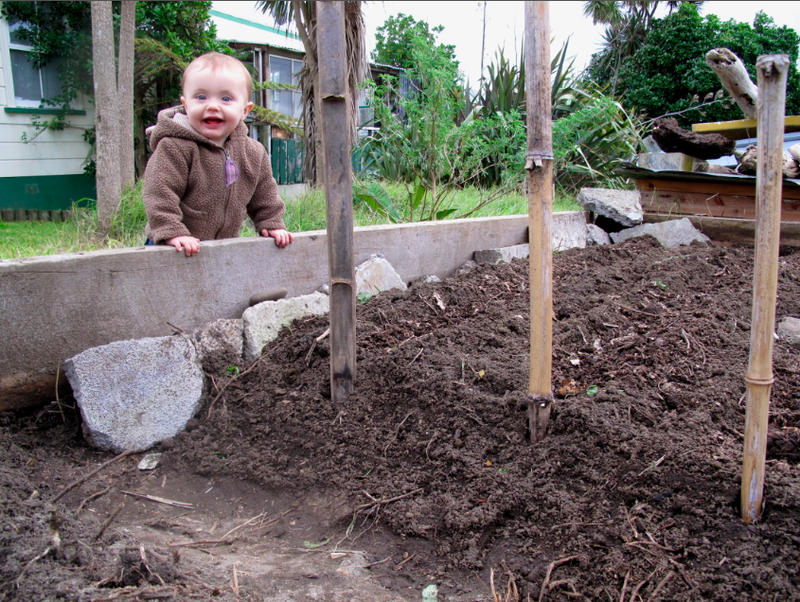 This has been the secret to my vege production for over a decade. However, I have run into a challenge lately with some so-called ‘biodegradable’ products that are being promoted around Wanganui. After four months of hot composting they show no sign of decomposition. Upon contacting the supplier, I’ve learned they require 6 to 18 months to break down, which doesn’t fit my timetable. I guess the bottom line is that not all biodegradables are created equal. Caveat emptor. The Carbon-Neutral Lawn: 13th July, 3-4 pm, or 14thJuly, 3-4 pm.